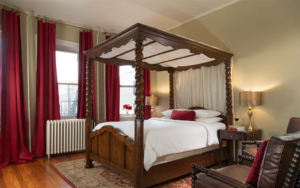 Wild women wear red, and the legendary Zora Neale Hurston known for her folktales and love of life is celebrated in our most decadent room. 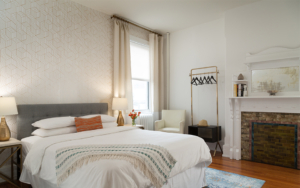 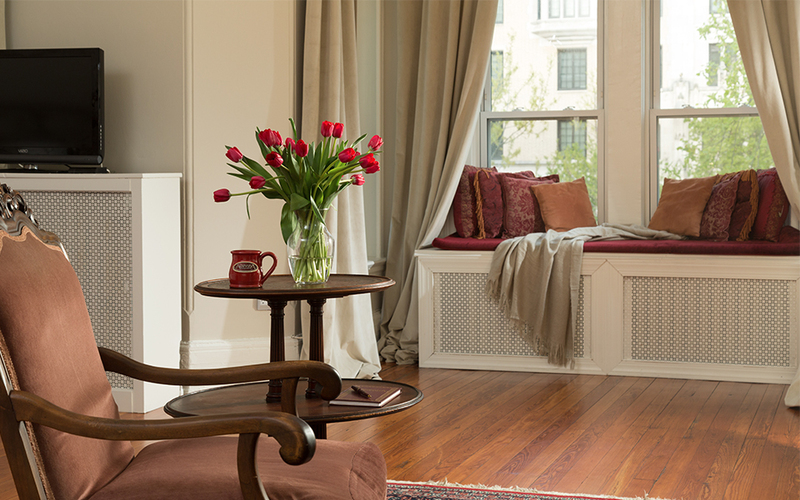 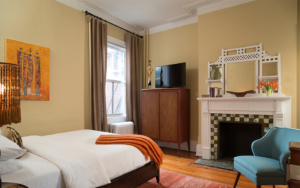 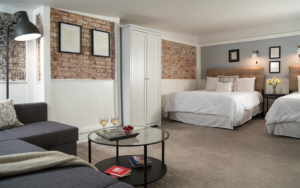 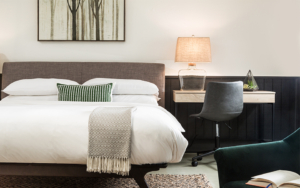 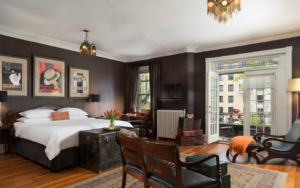 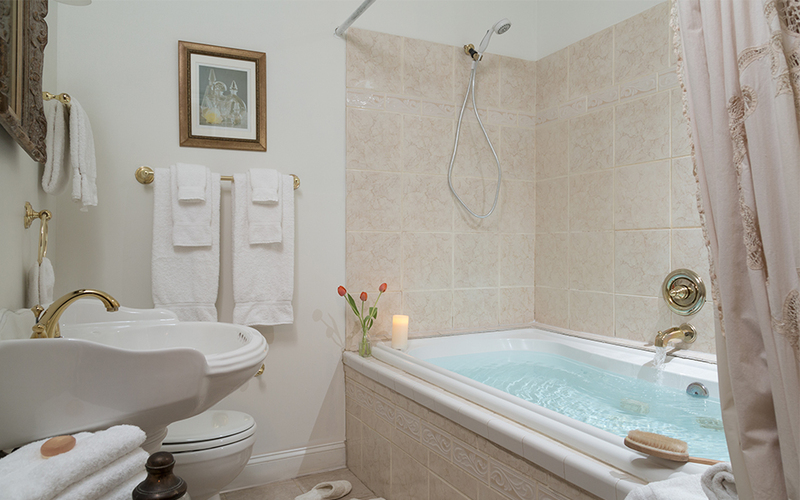 Larger than many city studio apartments, the cranberry and cream room features a king-sized antique brass bed, a pillow-tossed window seat and a glorious private bath with a Jacuzzi tub for two. 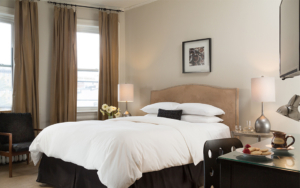 **In D.C., prices range from $150-$265 depending on dates of travel, number of persons in your party, and length of stay. 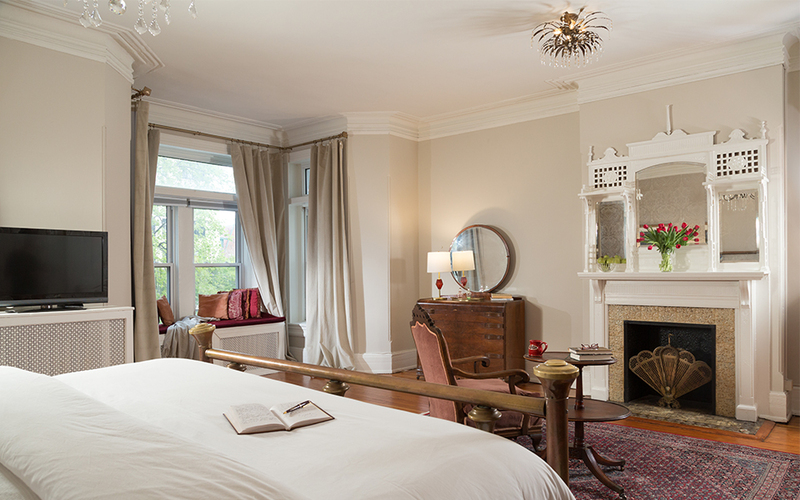 Rates do not include Washington D.C sales & lodging taxes of 14.8 %.